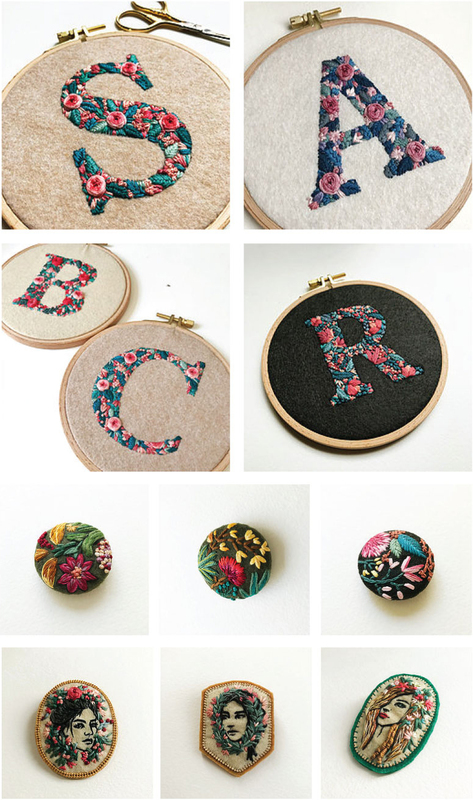 Admiring these embroidered initials created by Istanbul textile designer, Defne Güntürkün, who in recent years taught herself how to embroider. Her embroidery work is mostly nature-inspired. She works out of her art studio in a historic district in downtown Istanbul where she designs fabric patterns as a freelancer and runs her small business, Creamente, selling these exquisite embroideries. You can view more of her work on her website and on Instagram. Images: Courtesy of Defne Güntürkün.